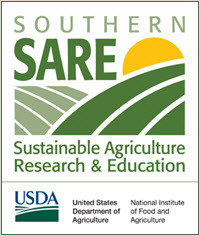 This Establishment and Management of Native Warm-Season Grasses for Bioenergy and Forage module is part of the Biomass Energy Training Curriculum, 13 modules developed through a Southern SARE grant and collaboration between Tennessee State University, the University of Tennessee, eXtension.org, and USDA-Rural Development. While it is written as a training guide for TN producers, much of the information is applicable throughout the Southeastern US region. 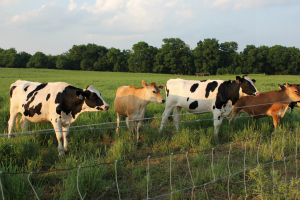 This module covers: forage and bioenergy uses of native warm-season grasses (NWSG), and establishment practices: planning, weed management and planting. Learning objectives: Participants will be able to explain the best ways to prepare, plant and manage NWSGs for establishment, identify the uses of NWSGs for bioenergy production and identify assistance programs that provide funding for establishing NWSGs. Lesson guide,- provides informative notes, test questions, and an evaluation form. Calibrating seed drill seeding rates for native warm-season grasses, Tennessee State University ANR-B2. 2012. Improving switchgrass yields for bioenergy production, Tennessee State University ANR-B1. 2011.